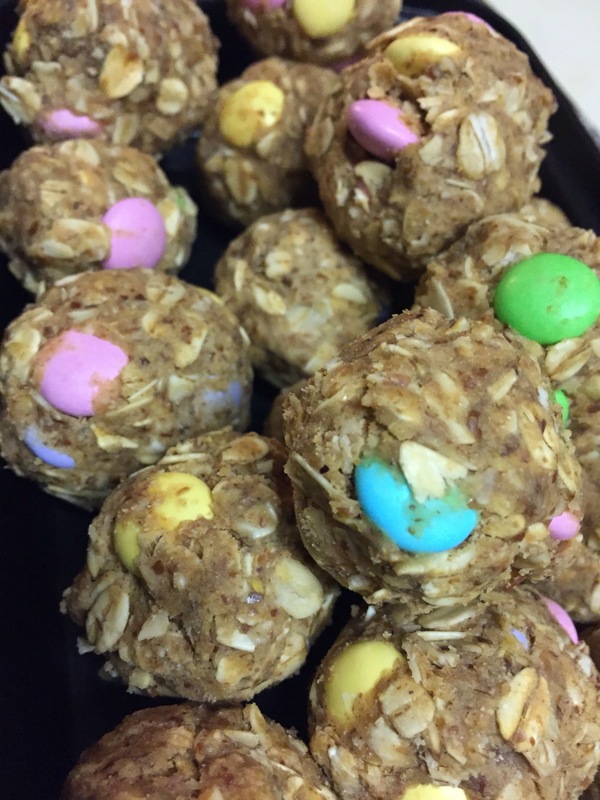 Healthy Pastel Peanut Butter M&M Balls For The Easter Bunny! 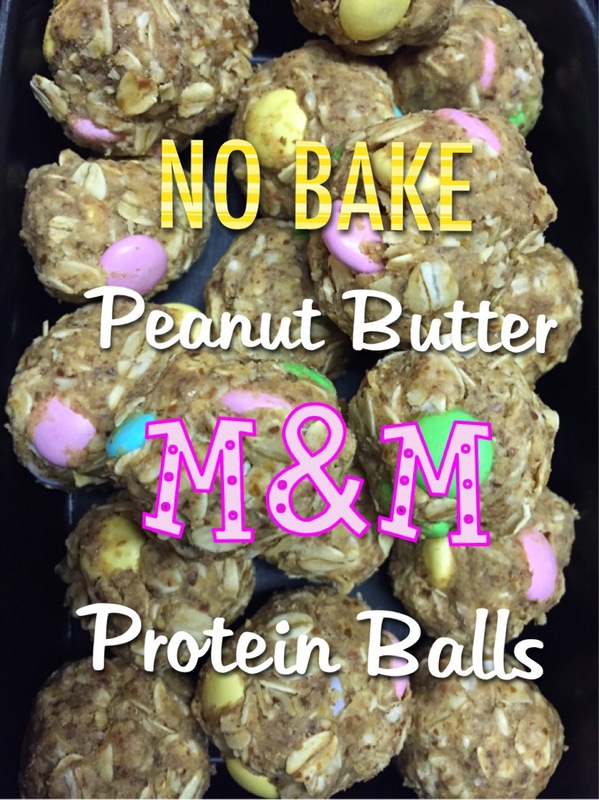 These peanut butter balls will hit your sweet tooth spot! They are delicious, crunchy and packed with guilt-free ingredients! Minus the candy of course, but who doesn’t love M&M’s?! Especially when they are pretty and pastel! I can’t help being festive! It’s a family thing and it runs through my blood! You can use this recipe for any holiday by alternating between different colored candies or sprinkles to roll inside the balls. For example, red and green for Christmas, green and white for St. Patty’s, red and blue for 4th Of July, orange and yellow for Halloween, and so on! 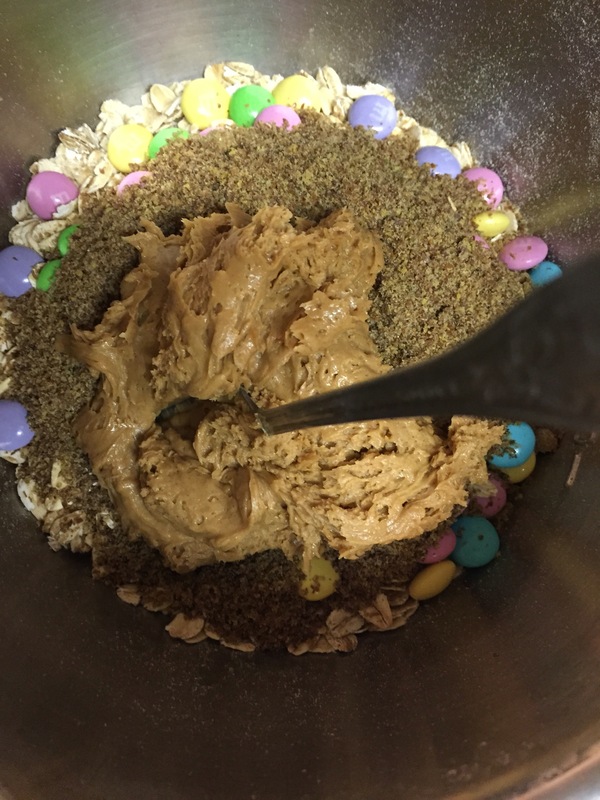 If I’m running tight on time or feeling too lazy to get into any serious baking, peanut butter balls are always my go-to! For even more convenience, I’ll prepare batches of the dry ingredients and save them in mason jars. Mix, mix, mix, till you can’t mix anymore! Roll into bite size balls and store in an air tight container. 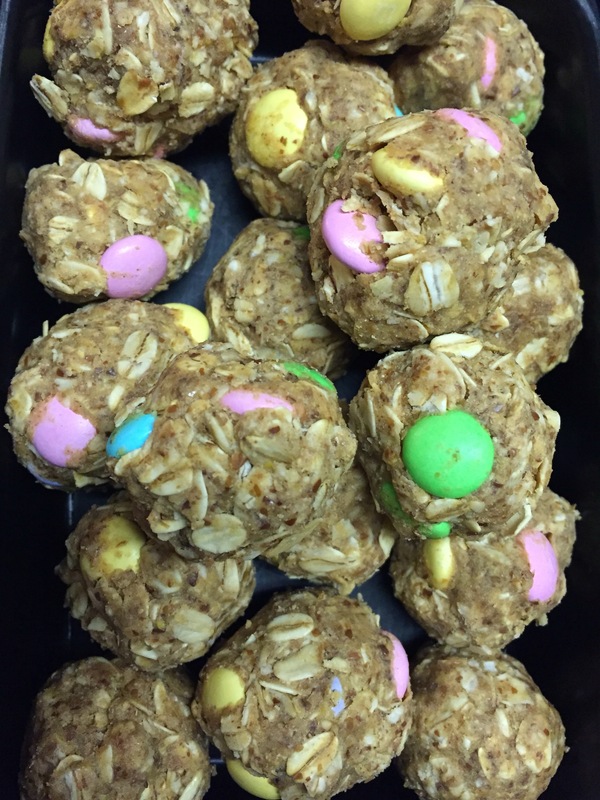 These would be perfect for your Easter Sunday for all ages to enjoy! Place them on a platter for your friends and family for smart snacking without ruining their appetitie. Add plastic easter eggs for a fun pop of color! ALSO, don’t forget about my YouTube channel! You’ll find vlogs, workouts, recipes and product reviews with my husband! Don’t forget to like and subscribe! Let me know what videos, questions or products you would like to see me cover. Thanks for the support! Great idea! Still a treat without being full of sugar and saturated fat.